The Council have now started work on cleaning the roadside drains in the village. It has been speculated that it is over 30 years since this was last done (happy to be corrected!). In any case, this long awaited maintenance is being carried out by Duncan Mackay and we hope that it will have a beneficial effect on the adjoining crofts, and will reduce the amount of surface water on or running along the road. A big thank you to all that took part, and that put in a full days shift on a warm, sunny day. It was all very enjoyable and everyone worked very well together, making things a pleasure rather than a chore. Walking of the proposed Keose Glebe/Keose boundary wall walk. In addition the day gave an opportunity to test the new estate vehicle in practical operation. All present were very happy with how it performed. A big thank you too to Ann Carmichael for her fantastic lunch provision and hospitality, to Donna for her drinks and snacks, to Louise for sticking with us, and to Douglas for giving up his time on a Saturday for a very wet walk in the rain. The Association has been successful in obtaining funding of over £25K towards the long awaited development of the Keose Playpark. The Muitheabhal Trust and The Scottish Landfill Fund have been the welcome benefactors here, and this takes us a long way towards the required funding total. A very useful and enthusiastic meeting was held in the meeting house on the 24th of May were the local residents, and primarily the children, had an opportunity to look at different pieces of play equipment, and to help the committee decide which ones were the most exciting and desirable. Further fundraising work will now begin, and it is hoped that the community will be generous and help in donating towards this project, especially as It was pointed out that there are now 15 children between the two villages. This is a remarkable change considering that only a few years ago there were only one or two. 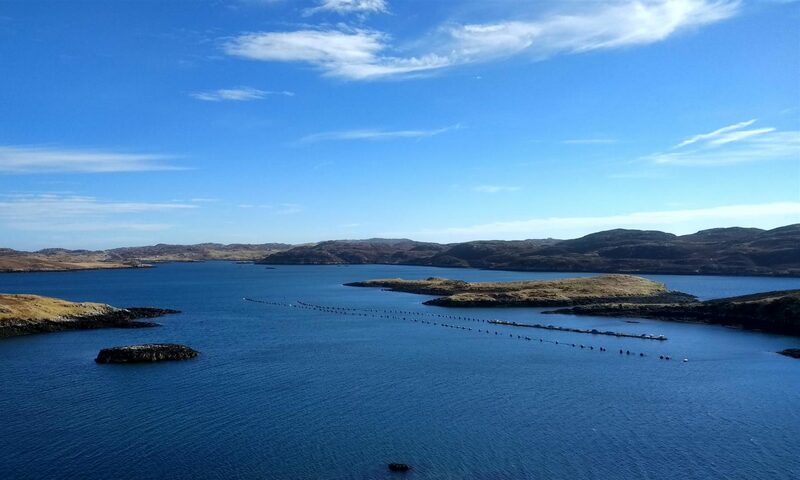 Rebekah Dundas from the Scottish Land Fund will be carrying out a first monitoring visit to the village, and will look at the work that we have undertaken since our acquisition of the estate. She will be here on Tuesday the 20th of June between 3 and 5pm, and we would welcome anyone in the community who wants to come along then to meet with her, and to discuss matters. The Keose & Glebe Community Association is holding a meeting to discuss the proposed Playpark development and the fundraising for it. This will be held at the meeting house at 6:30pm on Wednesday 24th May. While a display and plans of what is proposed with be on show, the Association would very much welcome any comments and suggestions, and particularly they would like the thoughts and opinions of the local youngsters as to what is is required and what can be afforded. The building will be open from 2:30 to allow viewing of the plans. All donations towards the fundraising are welcome. The above date is the one year anniversary of our fantastic launch day. As we did last year in preparation of that event, we are looking to organise some small, manageable and practical works, and to get people out and about! This will be an opportunity for the community to use their practical skills, to work together in improving the look and feel of the place, and to have a little fun too. Projects suggested include fencing; getting our new picnic benches treated and put to their intended locations; tree-planting, grass-cutting, general tidy-ups…but you may have more! We will meet up at the fank at 10am, so we would be pleased to see as many people as possible there. 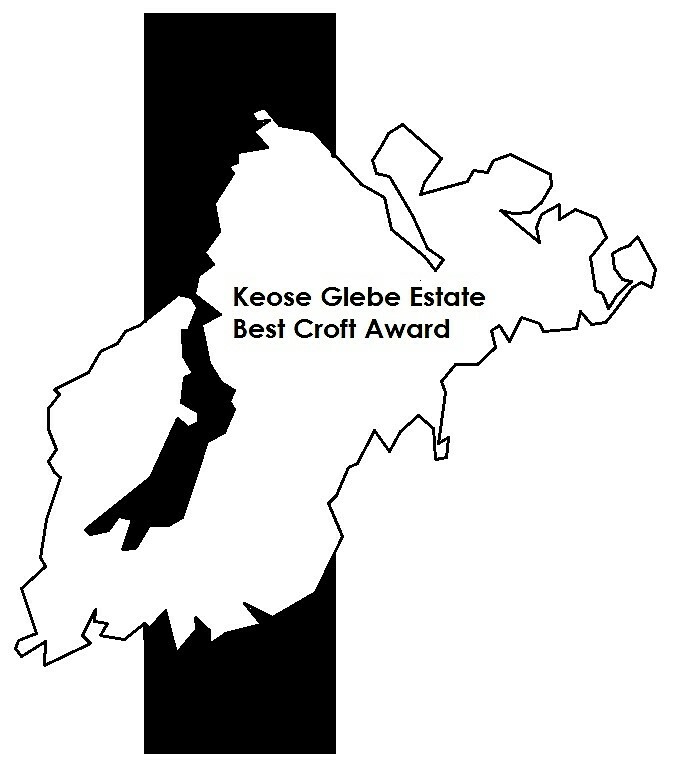 A number of fun activities are being planned for both young and old in the Keose and Keose Glebe villages. Further details will be available closer to the time! Estate Takes Delivery of New Utility Vehicle! 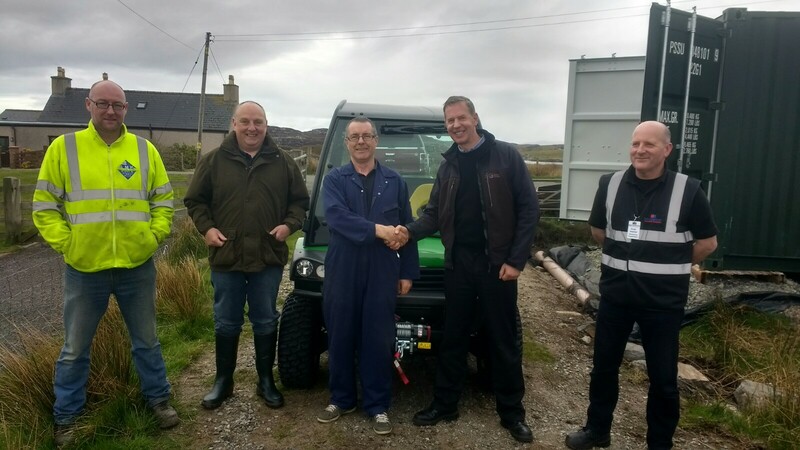 Representatives of Macgregors Industrial Supplies visited Keose Glebe on the 10th of May to deliver a new utility vehicle, which will be used for our development projects and general estate operations.